For the pop culture obsessive, it was an easy choice of how to spend one’s Fourth of July or New Year’s Eve. You’d plop yourself down in front of the TV and watch an I Love Lucy or Prisoner marathon. It didn’t matter if you left in the middle of an episode, because another would be there came you came back an hour later or half a day later or a year later. The practice began on local TV stations, before moving on to cable channels, where it continues today primarily as a means of replaying reality shows or Top 100 lists of various kinds (VH1’s Top 100 Songs of the Nineties, Bravo’s 100 Scariest Movie Moments, etc.). But the idea of becoming consumed by a TV series over the span of a day’s gorging has become so commonplace — how many of you are using this very day to catch up with Breaking Bad in preparation for Season Five? — that the Fourth of July TV marathon has been neutered. It’s still there in pockets, but few take it seriously anymore. As a young boy growing up in the Bronx with a mother who was afraid of letting us out on the Fourth because we’d get our fingers blown off by firecrackers, who was afraid of letting us out on Halloween because we’d get egged, who was afraid of letting us out on New Year’s Eve because of all the drunks, I became very familiar with the holiday TV marathon. Over the course of a decade or so, I eventually watched the bulk of The Twilight Zone’s five-season (156 episode) run during WPIX’s 24-hour marathons. It was an event worth preparing for: planning which friends would take it seriously enough to invite over, estimating how long into the post-midnight hours I’d be able to stay up before falling asleep. 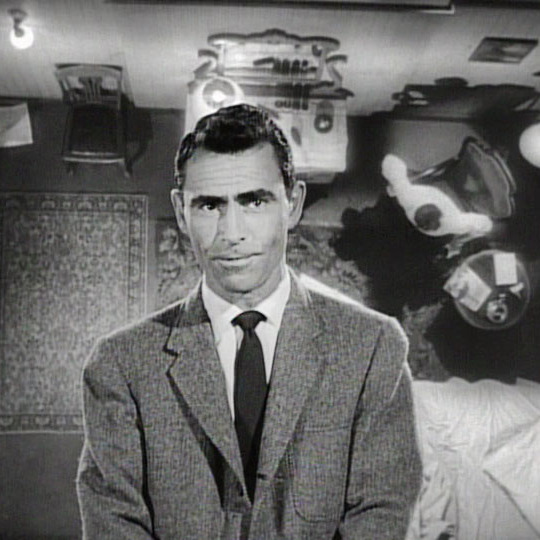 I remember one year camping in a sleeping bag in front of the TV, waking up and falling asleep between the hours of 1 and 5 a.m., catching snippets of several episodes that now exist in my mind as the most rambling Twilight Zone tale ever. It was hard to get a sense of flow, of course — half-hour season one episodes would be presented alongside hour long ones from Season Four. Classics like “Time Enough at Last” (tears, still, to this day, at the end) would be juxtaposed with stinkers like “He’s Alive” (the one starring Dennis Hopper as a neo-Nazi who runs into an aged Hitler). And a sense of flow is what streaming video services allow the average viewer to build on their own. I can decide how long my TV marathons are, when to schedule them, how many episodes to consume in one go, and whether to stop or keep going if it gets too tense or too boring. To get ready for Game of Thrones’ second season, I watched all twelve episodes in a day-long sprint — 10 a.m. until about midnight. This past week, almost impossibly behind on Breaking Bad, I found myself crawling slowly through season one. In either case, I didn’t have to wait for HBO or AMC to schedule a block. Similarly, as I look at the TV listings today and see SyFy’s Twilight Zone marathon (or blocks of any other number of shows — Cake Boss, Martin, Diners, Drive-Ins and Dives), I don’t feel the compulsion I once did. This hard-core marathoner calls his own shots now. Streaming has spoiled me into seeing a marathon in terms of defined groupings — “I’m watching Season One of Twin Peaks” or “I’m watching the X-Files mythology episodes.” It’s marathoning with a purpose. The old-school holiday TV marathon was aimless. And aimless is just not the order of the day anymore.